The report said Broadmoor remained "unfit for purpose"
The health trust that runs Broadmoor high-security hospital in Berkshire has been criticised over its high suicide rate and failure to protect patients. A report by the Care Quality Commission rebuked West London Mental Health NHS Trust for failing to tackle a series of shortcomings. It highlighted concerns that patients had hanged themselves from window bars. The trust said the bars could not be removed as the building is listed and it was addressing other issues raised. A spokesman for English Heritage, which makes recommendations on the listing of buildings, said it had been working with the trust on the "wider issues" of providing care to a modern standard at the site. It said it had not been approached about the specific issue of bars on the windows at Broadmoor. The trust provides high security, in-patient services at Broadmoor Hospital in Crowthorne, Berkshire, as well as community and other in-patient services in Hounslow, Ealing, Hammersmith and Fulham in west London. The health and social care regulator the Care Quality Commission (CQC) accused the trust's board of showing insufficient vigour in tackling "serious concerns" relating to issues such as sub-standard buildings, bed shortages, poor physical health care, not enough staff and a lack of training for staff working at the trust. Barbara Young, CQC's chairman, said: "Given the nature of its services, the organisation should be leading the way in managing risks, yet in some instances they tolerated poor and mediocre practices." She added: "The same problems about managing risk, overcrowding, sub-standard buildings and staff shortages were raised on a number of occasions, yet the trust's response was slow and piecemeal. "The trust was good at writing policies, but not good at putting them into action." The review found staff were confused over investigating serious incidents, some of which were suicides. It also criticised the amount of time taken over investigations and suggested the trust did not learn from previous incidents. 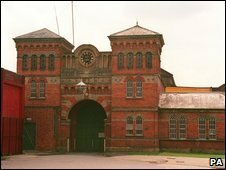 The review also cited a 2003 report by former regulatory body, the Commission for Health Improvement, which stated that Broadmoor Hospital was "totally unfit for purpose". Broadmoor is home to 260 patients, including the Yorkshire Ripper and the Stockwell Strangler. Eight of its residents have killed themselves in as many years - compared with just one suicide in England's other high security psychiatric hospitals. The review found that 2003 finding "remains the case today", pointing out that the layout of the wards there made it difficult for staff to observe patients. A spokesman for West London Mental Health NHS Trust confirmed that chief executive Simon Crawford had left on Friday to take up a new post at NHS London. A statement from the trust said it accepted the recommendations in the report. New chief executive Peter Cubbon said: "There are lessons to be learnt from the investigation. "The trust has already made progress in implementing a number of the recommendations and I am totally committed to working with the board to make sure that appropriate action is taken to address all of the outstanding issues." He added: "Working with our commissioners and NHS London we will ensure that patient safety is a top priority for all at West London Mental Health Trust." Katherine Murphy, director of the Patients Association, said: "What is exposed by the Care Quality Commission in this Report is about as bad as it gets if you are a patient with mental health problems." Marjorie Wallace, chief executive of the mental health charity SANE, said: "We are increasingly concerned about the familiar litany of failures and lack of supervision, which puts vulnerable people at risk and leads to preventable tragedies."